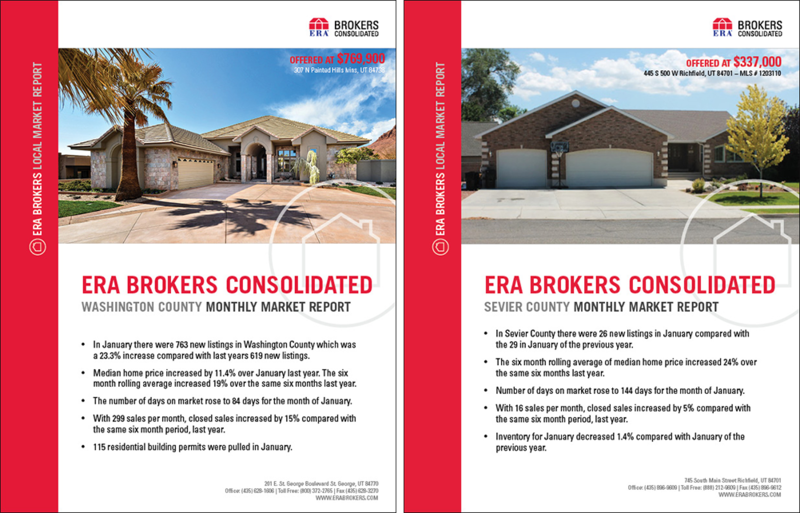 ERA Brokers recently published its January 2014 market report covering residential real estate markets that it serves. The market report provides statistics of home price trends and local market activity. We have also provided commercial market information through our affiliation with NAI Utah South. Their commercial market report covers office retail, industrial space and multi family market trends in Washington and Iron County. Want to be added to our email distribution list? Let us know info@erabrokers.com.